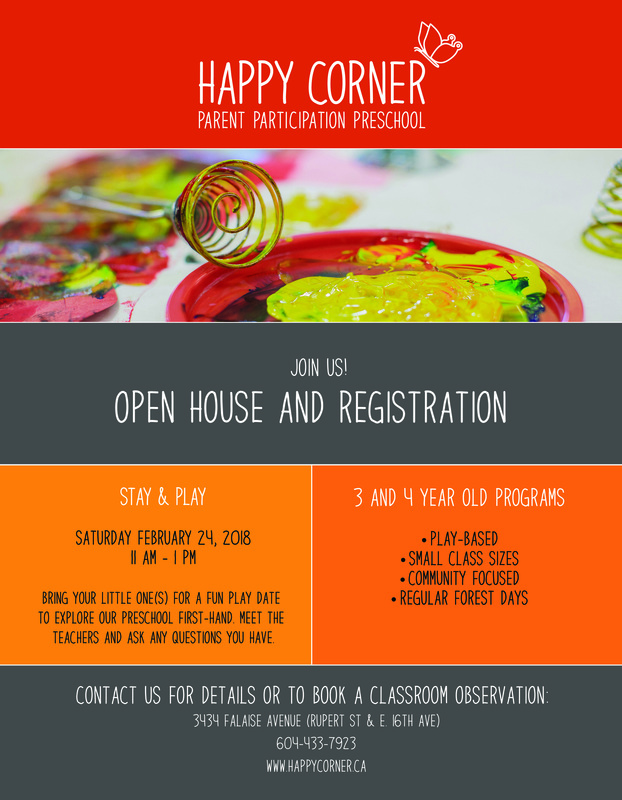 Happy Corner Open House and Registration – Join Us! 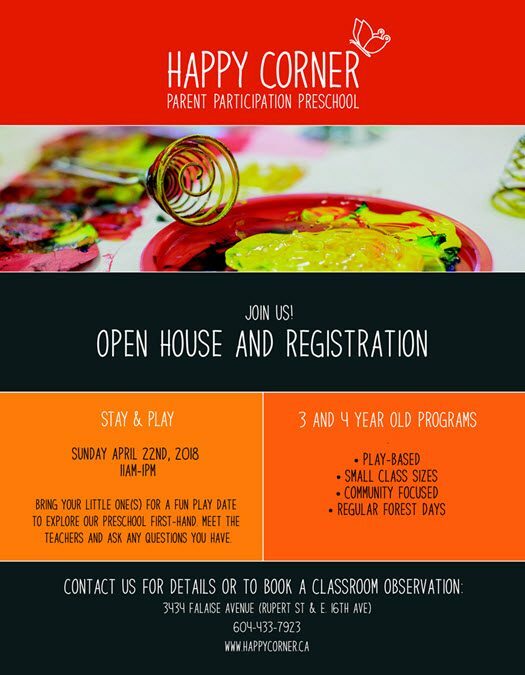 Come join us at the Happy Corner Parent Participation Preschool open house and registration on April 22, 2018 from 11am to 1pm. Bring your little one(s) for a fun play date to explore the preschool, meet the teachers and answer any questions you may have. If you have any questions, contact us at anytime!